Over the past twenty years, Nick Warren has become one of the world’s most consistent performance artists. You can tell when Nick Warren’s on the decks. The music emanating from the DJ booth is that perfect club mix of driving percussion and soaring musicality, bursting out of the speakers, soaking everyone in melody, drenching them in sound. On the floor, where it really matters, the crowd experiences all the peaks and troughs that make Warren’s sensibility so unique. He might start with his deeper take on house, and then gradually morph into harder territory; then, once Warren has the throng fully in his grip, sweating and losing themselves in the grooves, moving on instinct, he takes them to points unknown they never expected to go. That’s why Nick Warren is so respected: he knows how to truly work a crowd, delivering again and again, yet taking them somewhere they’ve never been before. To this day, Warren remains at the forefront of club culture: he packs clubs and arenas worldwide from London to Los Angeles to Taipei, transfixing dance floors with his distinctively forward blend of credible progressive sounds, cutting-edge techno, atmospheric breaks and any other crucial grooves Warren deems appropriate for his turntable alchemy. Warren has come to be mentioned in the higher echelons of house and electronic music, alongside such figures as John Digweed, Sasha and Dave Seaman. He made the well-trodden journey from trance to progressive trance to progressive house, and his numerous Global Underground releases are a faithful indicator of his progression and maturity as a top DJ. One man who is truly a legend in dance music is Nick Warren. Born in Buenos Aires, Hernán grew up listening to bands like Simply Red, Level 42, Depeche Mode and New Order. As a resident in Clubland Buenos Aires, his talent was quickly recognized and his name soon associated with the most respected figures of dance, such as Paul Oakenfold –turning into one of his closest friends as their relationship evolved-, Sasha, John Digweed and Danny Tenaglia. His career took off in 1996 and 1997 when both years he won a local award of “DJ of The Year” and, after joining Paul Oakenfold on his European tour, a lot of doors were opening for him. He got snapped up by Rennaissance who at that time were looking for an adequate successor for their Masters Series, which focuses on the presentation of the most talented global DJs, such as Sasha, John Digweed, Deep Dish and Danny Howells, among others. With great enthusiasm, Hernán exceeded all expectations. it scored five out of five stars and “Leading Player” in DJ Mag, full rating in UK’s M8, and “4 out of 5 –the best compilation Hernán’s ever made” in IDJ Mag. Hernán Cattáneo’s mixing and sequencing are predictably superb. “Deep, melodic and groovy” works as the perfect mantra for how the veteran South American DJ approaches his performances – as eclectic as they are, you always know when you’re listening to a DJ set from Hernan Cattaneo. 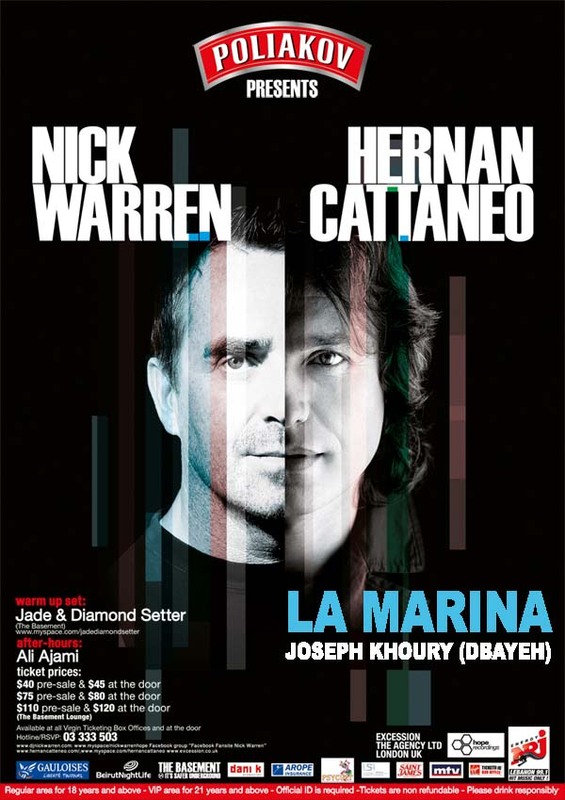 Award-winning DJ/Producer Hernan Cattaneo has been in the game for more than two decades, and if you’ve ever heard his music you know why he’s outlasted so many others. it is his wonderfully crafted DJ sets, exploring many genres, that have continued to enthrall his ever growing legion of fans. With over 120 dates a year, Hernan Cattaneo is undoubtedly one of the busiest DJs in the world – not to mention one of the best.